We have invested in technology and the latest equipment. We have invested in technology and the latest equipment to ensure maximum efficiency in the process of washing and to respond flexibly to the needs of our customers. 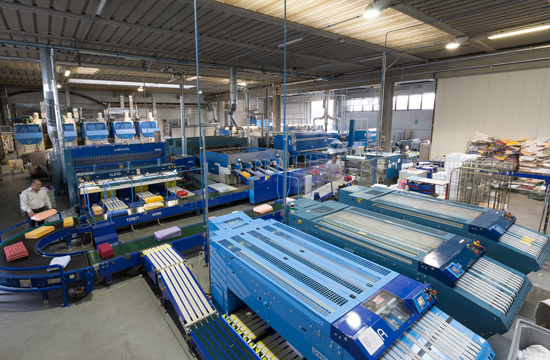 Thanks to the system of the latest generation put into operation recently, an automated system manages the count linen stretch nylon shrink wrapping packages, labeling them with the name of the customer, the number of pieces inside and the route of delivery to optimize logistics and minimize any abnormalities. We can be said to be among the most technologically advanced laundries.